Product prices and availability are accurate as of 2019-04-19 07:08:43 UTC and are subject to change. Any price and availability information displayed on http://www.amazon.com/ at the time of purchase will apply to the purchase of this product. 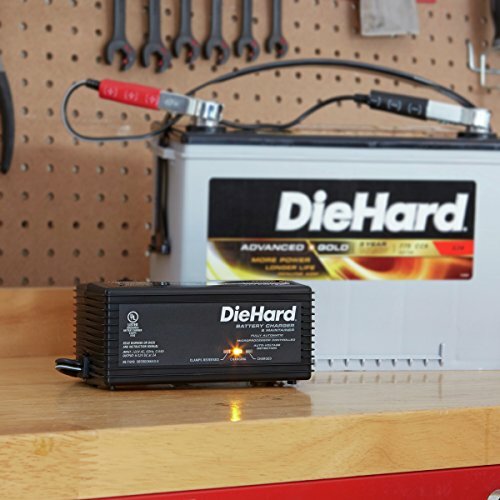 Charge your car battery with the DieHard 71219 6/12V 2A Shelf Smart Battery Charger and Maintainer. 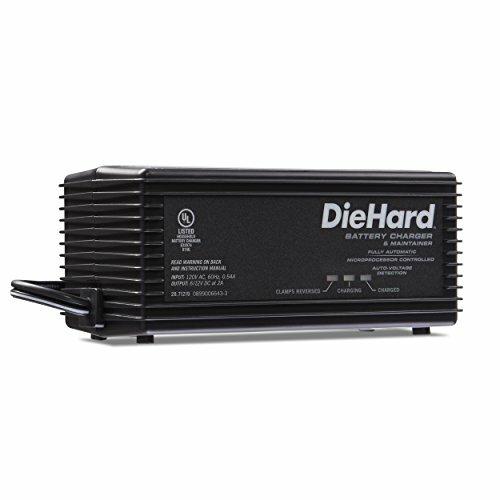 The microprocessor controlled, fully automatic, 5-stage charging process precisely charges and monitors your vehicle's battery. Safety features are built-in alert you when the clamps are reversed and prevent overcharging. 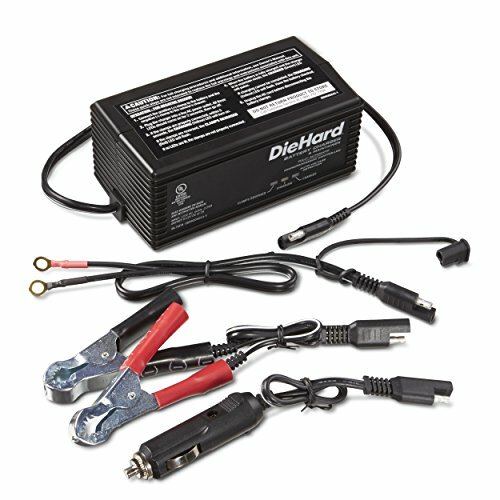 This unit includes 50A clamps, 12V accessory plug and permanent ring connector. 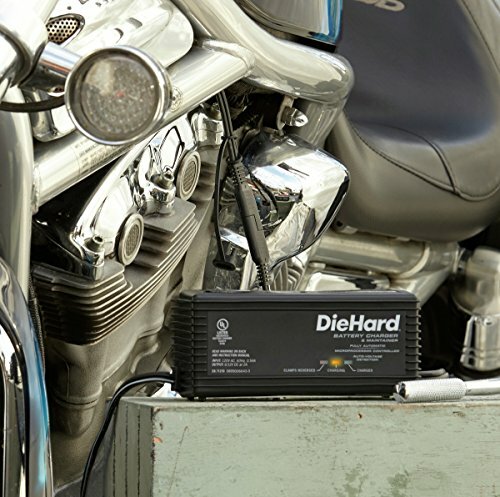 Micro Processor Controlled, Fully Automatic, 5-Stage Charging Process for precise charging and monitoring of batteries. Float Mode Monitoring maintains the battery when fully charged. Resumes charging when battery becomes discharged. Reverse Hook-Up Protection - Charger will not operate if clamps are reversed. LED indicator will flash. 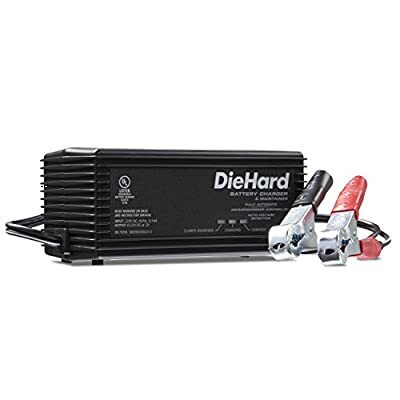 Included 50 Amp clamps or 12V accessory plug or permanent ring connector Quick Connect Harness's install fast and are perfect for hard-to-reach motorcycle batteries. LED Indicators tell you when the clamps are reversed, the unit is charging and when the battery is fully charged.